your own customized ecard website. Start your own ecard website now. eCardMax is the most trusted, powerful and dynamic online ecard software solution. It enables you to create your own ecard website with many of the advanced features found on other major sites. Starting your own ecard website with eCardMax is fast and easy. 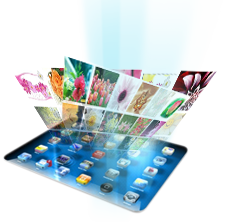 Completely rebrandable ecard software that you can customize in any way you like. You may create your own categories and upload unlimited ecards. eCardMax is flexible as a free ecard site or membership subscription or pay-per-card. Support Image ecard, animated gif, flash ecard, html, youtube, and video card. Invitation add-on module for holidays, events, and parties with RSVP and guest list tracking. Our ecard script comes with unique features that help you fight spammers more effectively than ever. eCardMax is the ecard software that helps you build your own customized ecard website, eCard software for professional eCard sites, powerful and dynamic online ecard software solution, Invitation Online. Send ecards to social network: Facebook, Twitter, Google Plus, Linkedin. Download as pdf & print.